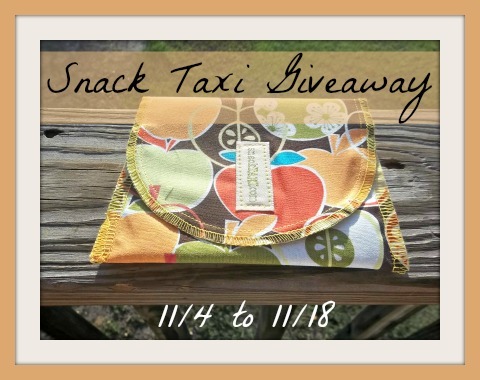 Home / Giveaways / All I Want For Christmas is a Reusable Snack Sac From SnackTAXI!! Ends 11/18!! All I Want For Christmas is a Reusable Snack Sac From SnackTAXI!! Ends 11/18!! A special thank you to our sponsor and all participating bloggers who are helping us promote our month long event! Snack Taxi was invented by a mom who was tired of seeing how many ziploc bags get thrown away by her kids at school. Snack Taxi has been around since 2006 and is made in Massachusetts by local sewers. Snack Taxi is the original reusable bags for snacks and sandwiches. Simply Southern Couponers had the chance to review the Bite Me Snack Sack. Keep on reading to see how to get the chance to win your own. Head over here to read Simply Southern Couponers full review. Can’t Wait?? Head on over here to purchase your own Snack Taxi Reusable bag for only $7.95!! Wanna see what other great companies Simply Southern Couponers is working with? Head over and check out all of our holiday reviews. We will be updating this list all month long. Tales From A Southern Mom has teamed up with Simply Southern Couponers to bring you one of their amazing holiday giveaways! If you or your child takes their lunch everyday then you know buying sandwich bags can add up but with Snack Taxi their bags are reusable. To enter for your chance to win your very own complete the Entry form below. November 1st, 2013 – November 14th, 2013. Next post: *Hot* Lego Watches just $9! Perfect for stocking stuffers! I like the aqua vines pattern!